With each new article comes a new story, often entirely unique. From the car to the owner, each presents a story that tells of what is often a lifelong love for automobiles - I find myself prodding each owner with questions, inquiring about the idiosyncrasies that define each car's uniqueness and history. My favorite question of all, however, is about the owner. While each feature earns itself a slew of questions that delve into their particular car, each one gets a very similar question: How did you get into cars? "My son is one year old, and he loves toy cars and trucks; he holds them and just spins the wheels over and over again. Apparently I was the exact same way," says Greg. "I guess it’s just always been in my blood." I first saw Greg Keysar's Volvo 142 in his home state of Maryland, and while I recognized many of the Volvo 242-esque lines of the profile, it was a body-style I had never seen before. Like a moth to a flame, I was drawn to the car, as were others - it stood out in the sea of Volkswagens, Audis, and BMWs with which it was parked. I knew immediately it was likely going to be the coolest car I'd see all weekend, and better yet, I knew there had to be a story behind it. Greg's love for cars began early; his father was a mechanic and machinist at the local power plant throughout Greg's childhood. Whenever a car broke, Greg was there alongside his old man, lending a hand to fix it. "When I was in high school, I was still in the garage working on cars, and my dad just left me to my own devices, or often demise, only helping when I needed his expertise." In retrospect, Greg assures me that the time spent in his garage had a serious impact on him: "It’s where I cut my wrenching teeth and when I started modifying cars." However, there's more to Greg's automotive beginnings than his own garage. Growing up, a father's friend welcomed the Keysar father and son duo into his own garage, which housed some truly impressive machinery. Greg tells me it wasn't easy to overlook the Jaguar XKE drophead and the Ferrari 365 Daytona, but he did, in favor of a Mercedes Benz 300SL Gullwing coupe. "I just couldn't take my eyes off that 300SL. I remember when I first saw the 365 and I thought it was ugly (I’ve since come around), and I remember how much I loved the hood on the XKE, and how it just seemed to go on and on. But that Gullwing... it just blew my mind." And it was his time spent in that garage, along with his own, that acted as a catalyst for his automotive love. So where does the Volvo fit in? 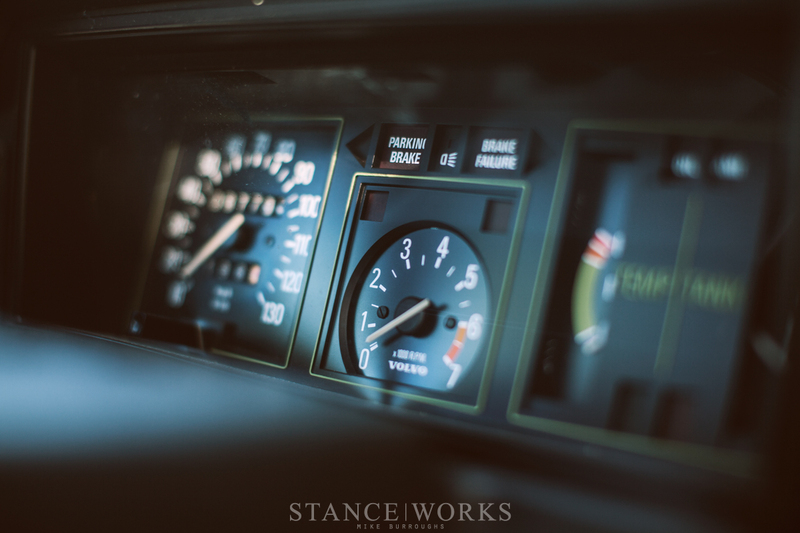 Greg recalls the turning point - before he was old enough to drive, he came home from school to find his father working in the garage on the familiar family 1984 Volvo 245 wagon. It was when Greg's father rolled the wagon out of the garage, however, that things changed for both the Volvo and Greg. The wagon now sported a set of IPD lowering springs and a matched set of IPD sway bars. The stock alloys had been replaced with a set of 16" Borbet Type E 5-spokes, and the combination thereof was enough to set Greg's affinity for the marque into motion. When the time came, the wagon became Greg's first car; however, it wasn't until he got his hands on his sister's E30 that he truly began to build something of his own. 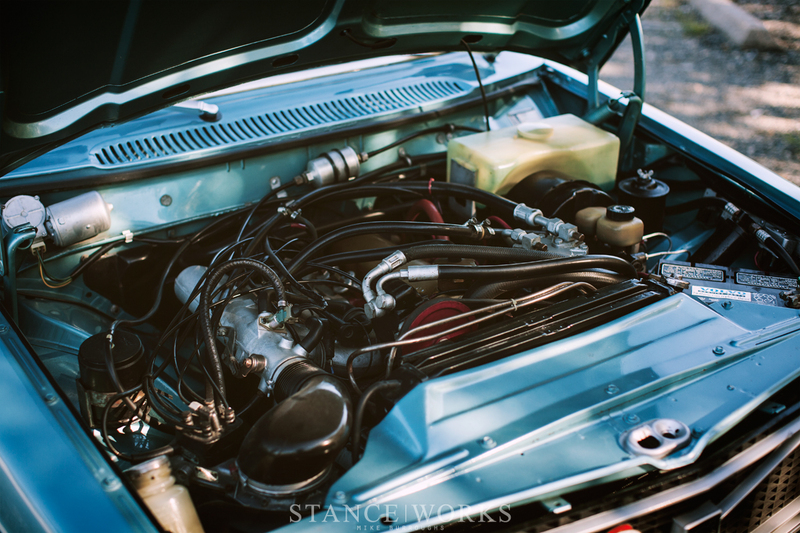 "My sister bought a 1984 E30 318i back in 1991, she drove the car until about '96. My dad bought it from her to drive to work and it was pretty ragged out, so he and I rebuilt the engine, threw some racing dynamic springs on it with bilstein sports and RD sway bars. We also installed a super sprint exhaust and BavAuto short shifter." It was truly a driver's car, and while it was slow, it was a true thrill to drive. "There's something to be said about driving slow cars fast," says Greg. However, the BMW bug didn't bite hard enough, and it wasn't all too long before the lure of Volvo's wagons called once more. For years, Greg found interest in the P80 chassis, having owned a hand full of V70 wagons, the last of which was a 1998 V70T5 manual. 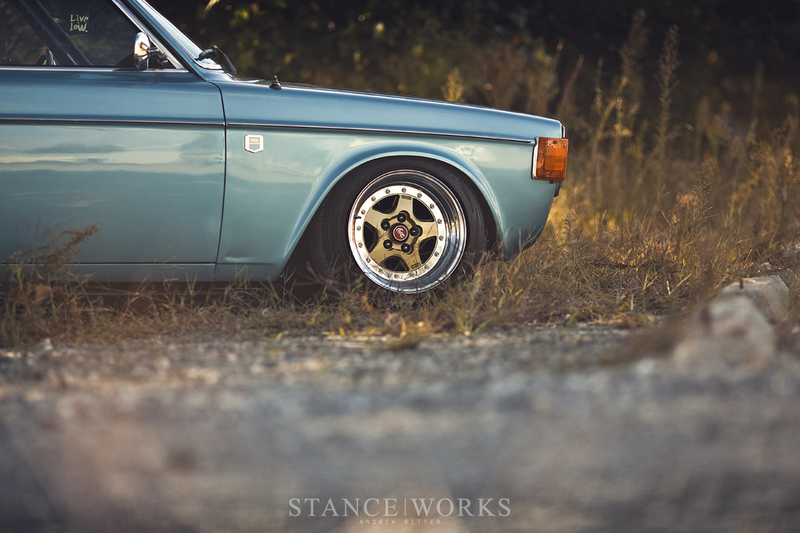 "Fun fact, there were only 120 manual T5 wagon imported to the US in 1998. Too bad me and about 5 other people care," he jests. Unfortunately, just last year when Greg found out his wife was pregnant, the wagon received the boot, and was sold off. 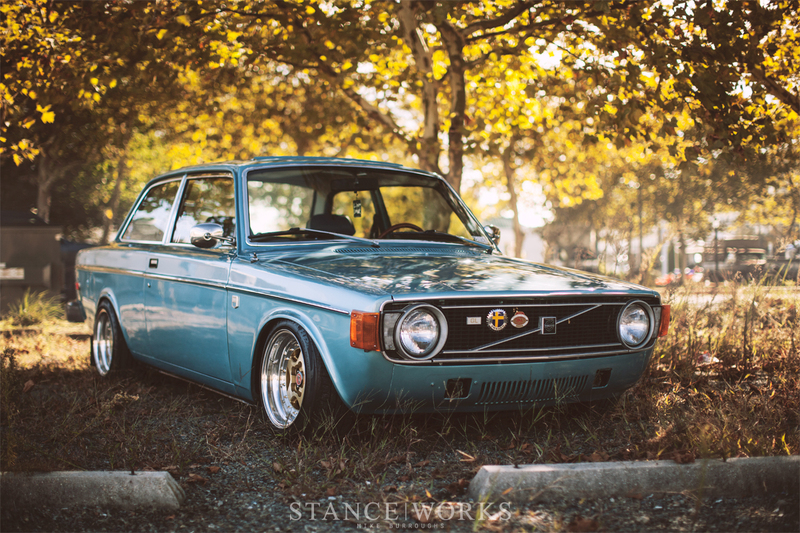 In any case, Greg remained with one card up his sleeve: a few years ago, aimless craigslist browsing led Greg to stumbling upon a green 1974 Volvo 142. "It needed some work, so a buddy and I went up to look at it. I made an offer, fixed the non start issue right there, drove it on the trailer, and away we went." And it was there that Greg fell in love with vintage Volvos. Greg drove the car for several years, enjoying it thoroughly despite its rust issues. But, it only took a couple of months of ownership before Greg was hunting for another - this time, a 1972 model. His hunt for a '72 was well-founded: the '72 model year maintained the body styling from the '60s era, and the cylinder head was the desired high-compression variant. Early model 140s had smaller bumpers, smaller lights, flat sheet metal under the trunk and behind the rear bumper, and the dashboard was a bit more desirable. "Aesthetically, they’re slightly more attractive." The '73-74 model years, such as his own, sported bigger US-mandated bumpers, bug-eye turn signal lenses, and from the A-pillar back, the body lines were closely shared with the 242. Greg's search for the right car stretched on for more than 3 years. He attempted to pay friends on the west coast to look at potentially purchase-worthy cars, but the cars rarely panned out. They were often plagued with familiar rust, or they'd sell too fast to purchase. Greg's chances of finding the right car from thousands of miles away were slim-to-none. However, almost exactly one year ago, Greg found an ad posted on the classifieds on the Volvo Club of America’s website for a car that sounded perfect. The downfall, though, was that this car was a '74, not his desired '72. "The ad on the classifieds listing just had a phone number, no email. I was in my office late, and I remember it was about 7pm when I found the ad, so I knew my chance of getting someone to answer the phone was good. I called the number and 89-year-old Dan answered the phone." 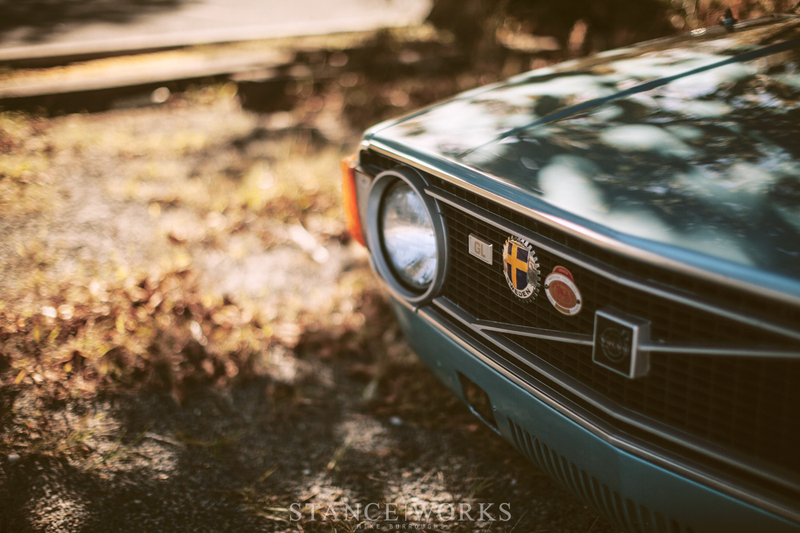 Dan suffered from muscular degeneration, meaning his prized Volvo 142 sat, largely undriven, for the past six years: a friend would stop by to drive the car from time to time, to ensure it wouldn't wither away as well. Dan assured Greg that the car was in "mint" condition. Greg suggests "in car terms, it usually means it's a POS." Dan was, unsurprisingly, not an internet user. In an archaic approach to send Greg photos of the car, Dan snail-mailed a packet of information over, including pages of Xeroxed photos, a process that took several weeks to accomplish from the original phone call. After looking over everything, despite its antique nature, Greg decided to call dan back on Christmas eve - he wanted to see the car. "The very next weekend, I was in Rehoboth with a buddy looking at the car. The car was clean, but it was far from mint. We haggled on the price for a bit, I came close to walking away, but these things are so rare in a rust free condition that I just couldn’t pass it up, and Dan knew that." I asked Greg if he had settled on a car - its rare to hear "yes;" however, it's almost always followed with reluctance. For Greg, it was the opposite. "In a sense, I did settle. I really wanted a '72, or older really. But I’m thrilled with the car. The color is what really sold it. It’s factory light blue metallic, and it looks fantastic." The blue paint shined beautifully, and while the car was far from showroom-perfect, it was quite the award winner, and it was going to good hands. In Dan's stronger days, he'd show the car regularly in the mid-atlantic area. It took home first place in the senior category at the Antique Automobile Club of America in Hershey, Pennsylvania, which even Greg recognizes as a rather impressive feat. 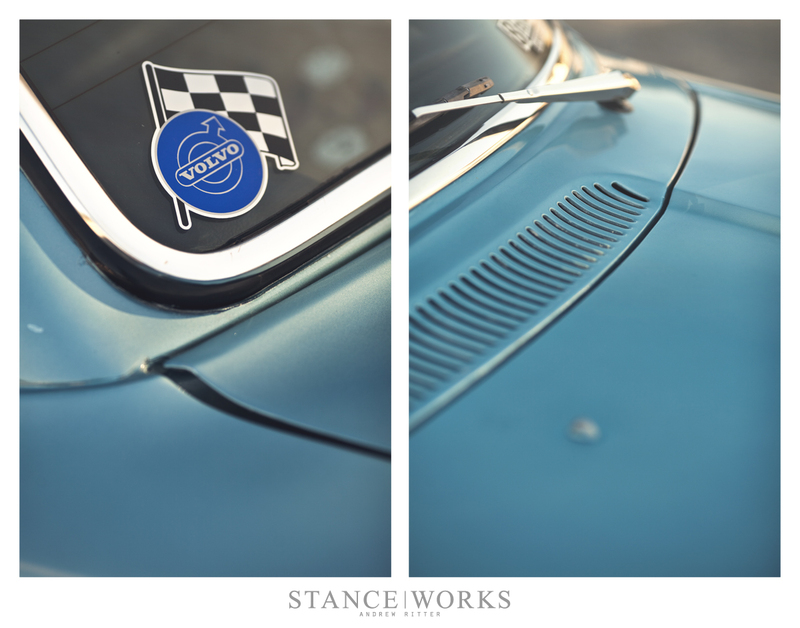 The car's grille is embellished with a unique placard that is serialized and tied to the VIN, celebrating it's victory. In the trunk of the car came 28 show trophies - Dan felt it was fitting for them to leave with his pride and joy. Greg began tinkering immediately - his green 142 served as the donor for both ideas and parts. 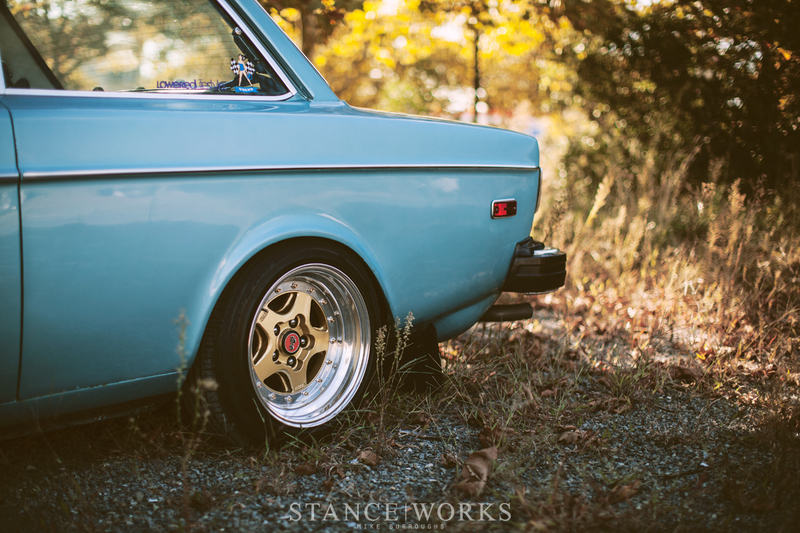 As an avid wheel fanatic, Greg already had the perfect wheels ready to go on: a set of 15x8 Gotti J55Bs. Under the front end is an IPD swaybar, Bilstein Sports, and #800 5"x6.5" AFCO springs. Out back is a set of #250 5"x8" Blue Coil springs on top of Kaplhenke Racing 240 adjustable perches, and a modified weight jack to secure the top of the spring. The rear is also fitted with a Kaplhenke Racing adjustable panhard bar and Yoshifab adjustable torque rods. Greg's future plans for the car continue, leaving the realm of traditional and entering the realm of "I contacted my buddies at Buchka engineering to help me with the engine build. I sent them a set NOS GSXR-750 throttle bodies, a Volvo B20 DCOE manifold, and some other odds and ends and they sent me back a bolt on ITB system." For engine internals, Greg sourced a NOS Paeco 85mm 6-bolt stroker crank, a NOS set of Cunningham forged H-beam connecting rods, and a lightened 6-bolt flywheel from a retired P1800 race car. Paired with a custom cam sourced years ago from the now-defunct euro Camtech, the hot-to-trot B20 should give the 142 some serious kick. Although, even without the completed engine build, Greg is left with a car that he truly loves - as do I - but I was infinitely curious how the rest of the Volvo community felt about it. 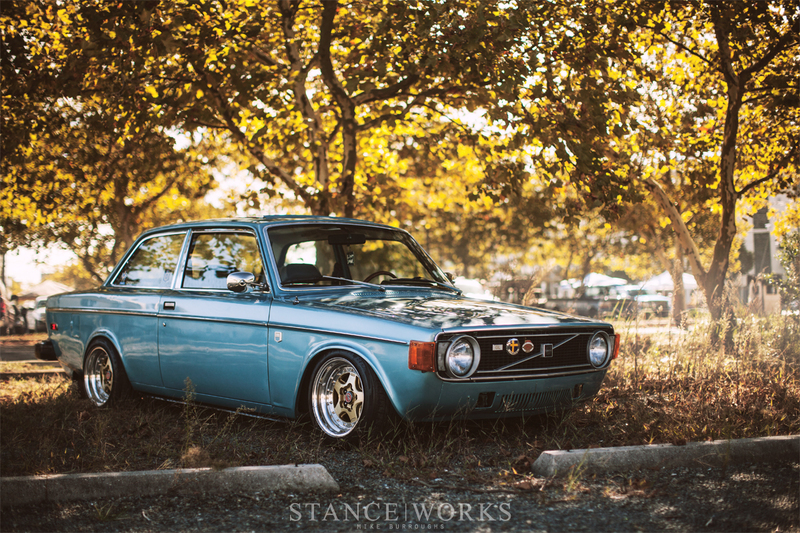 It's hard to argue that the Volvo world isn't seen as the red-headed step-child by the rest of us, except for perhaps Saab owners, but nonetheless, Greg's build has been catching broad-scale attention. Even Greg is willing to admit that the Volvo ownership demographic is a strange one, as he's been a part of it for quite some time now. 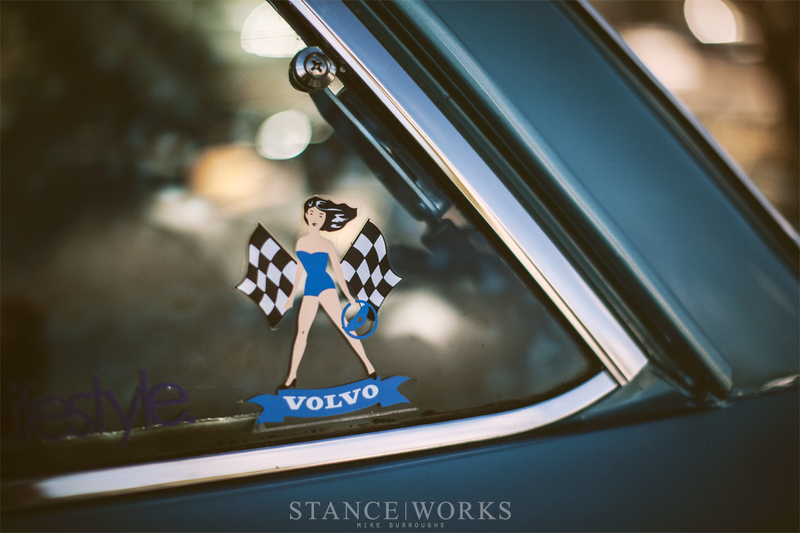 "The strangest of the volvo community is no doubt the vintage crowd. 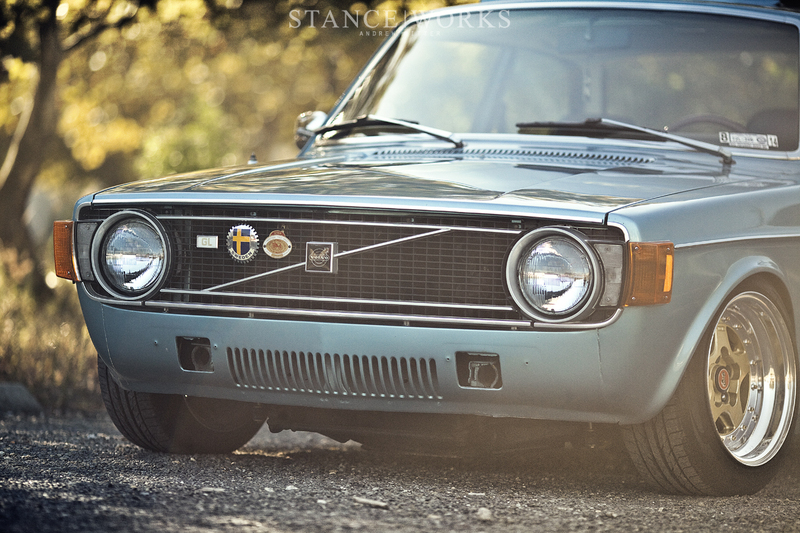 There are two sides to the vintage Volvo coin, the 100% stock guys, and the 100% performance guys." 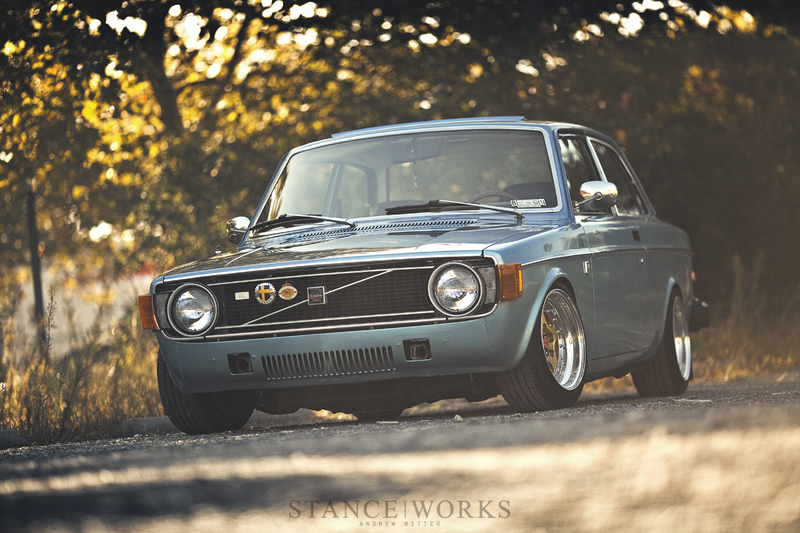 It's the classic case of purists versus tuners, with very few RWD Volvo fanatics prioritizing aesthetics over performance. "You go to a “Volvo get together” and the cars are almost all beat rust buckets driven by stereotypical socially inept early 20-year-olds with a few even weirder older guys." "For the most part it’s a bunch of weirdos. They do say birds of a feather flock together though, so what does that say about me?" Greg certainly isn't quick to put himself above other. "I’ve met some really great people in the community over the years... 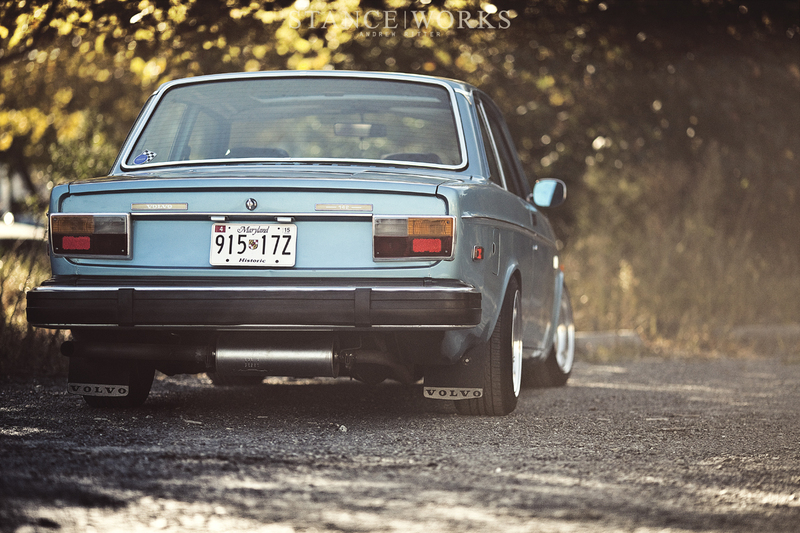 I will say this about the Volvo community: some of the smartest car tuners I know are in the Volvo scene. There is almost 0 aftermarket support for these cars, both older FWD and RWD cars, so most everything is home brew. You can’t just open a catalog and order up some parts. Research has to be done, and often times you have to get very creative. 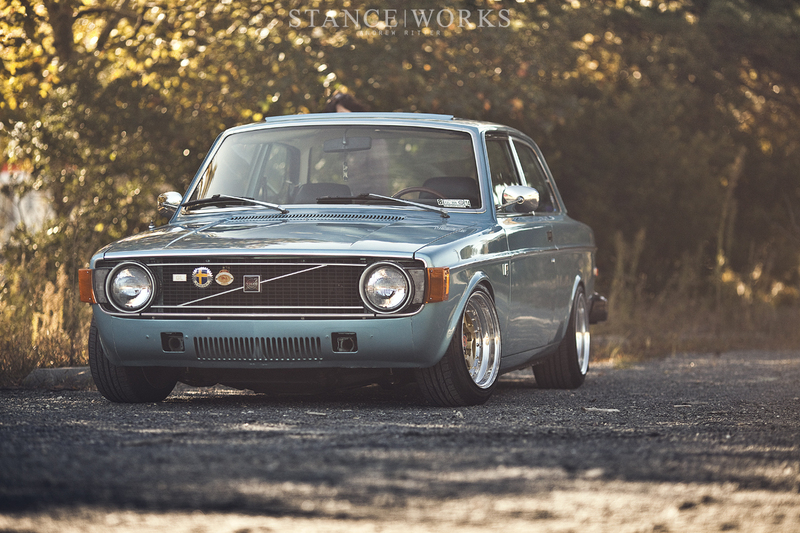 What sets the cars apart in the volvo scene is the execution of said creativity and research." Whether he's one of many, or one of a kind, Greg has built a car that is impossible to ignore, from it's uniqueness and rarity, to its styling and the instillment of passion. From years in the making, to the perfect weekend cruiser: "My daughter loves the car and loves to cruise in it. My favorite memories are with her in the car laughing and enjoying the drive. To me, that’s what it’s all about it." Frankly, I like what I hear. Dare I say... we need more Volvo guys? This is on another level of tuning. From the platform with little support, as mentioned, to the style. The volvo mudflaps made my heart skip. its like rocking a designer 3-piece suit with the sleeves cut off. Well written and Great Article! You wrote “impossible to ignore”…I’d like to add impossible to imitate. cheers! Great article on an amazing and inspirational build. Now I need a Volvo. Just saw one of these Volvos at a Ecology junkyard in Adelanto, CA. She wasn’t pristine but the body was straight, and everything was still there. Such a shame! Wish I could’ve adopted the little car! God what a Vo! This thing is so killer; well done. I love the fact you created something from nothing and that subtle rake really suits the car. 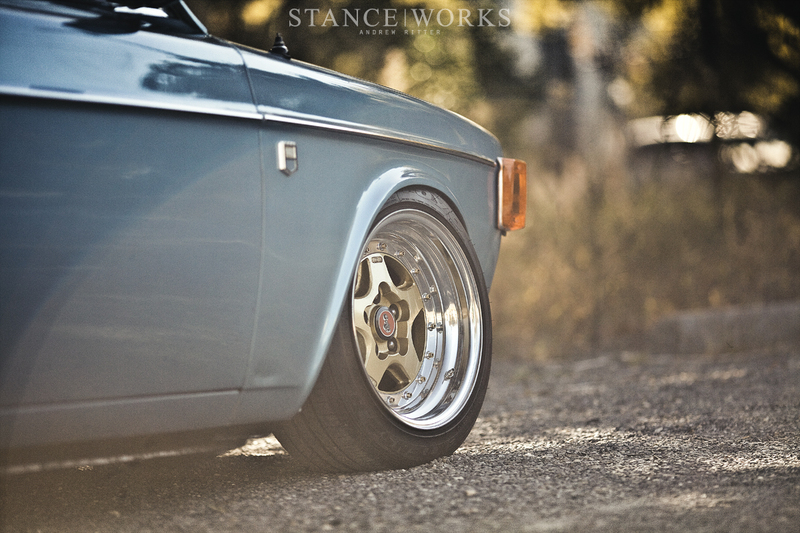 cars like this one are the reason i like stanceworks. nice job, greg. I was so close to selling my ’70 144 so I could get an 1800. This car changed my mind. I thought that putting much into a 140 would be a waste because they aren’t currently very sought after. Now I feel like the 140 is only going to get more and more popular. Although mine is in much much worse shape I have been inspired to put the time and money in to make it, hopefully, as good as Gregs. I’ve always loved this car..I’m glad to see it featured! Fantastic pictures. I want more of the rear end. Such an under-appreciated and rarely seen piece of automotive design history. 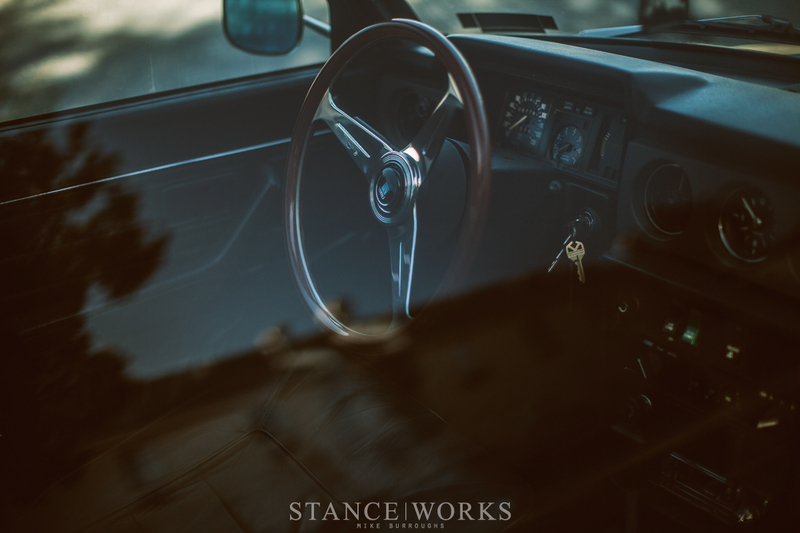 I’m usually a fan of Mike & Co’s photography and aesthetic choices… But for once, I can’t say I’m that impressed. 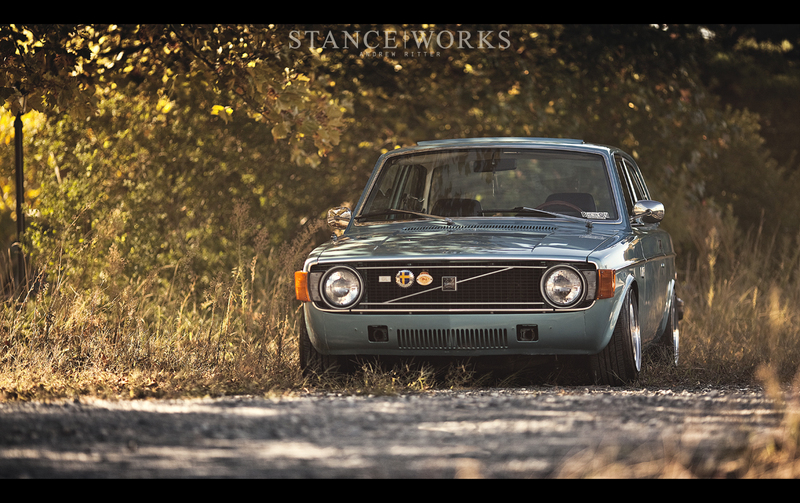 Why stick the Volvo in the weeds? Pavement reserved for VAG products and BMW’s? The processing is over the top as usual… But this time it doesn’t work. Faded brown shadows don’t do light blue any favours. Great article, and the photos are passable. Maybe it’s just because I’m such a fan of this car, but I feel like the feature could have been executed just that much better. Like a boss. Good job man! Off topic, but i saw a video of an old Volvo Smashing into at least 12 cars… and she kept going for more! but yeah volvo is strong! i bet this beauty will last for more years to come! Can I use one of your photo for a study ? What ET is it on those Gotti rims?